Thank you for all your help with my trip in China. I completed a customer satisfaction questionnaire that I passed to Linda, my guide, at the end of my tour in Xian. The questionnaire was very complimentary about your service - Linda was an excellent guide and although my delayed flight due to the fog had an impact on what I could visit in Xian, everyone was very helpful. Thanks again though for all your assistance - I had a very interesting and enjoyable holiday and I cannot wait to come back to China again. Merry Xmas and a Happy New Year. Thank you for all your help with my visit. 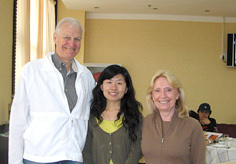 I completed a customer satisfaction questionnaire that I passed to Linda, my guide, at the end of my tour in Xian. The questionnaire was very complimentary about your service - Linda was an excellent guide and although my delayed flight due to the fog had an impact on what I could visit in Xian, everyone was very helpful. Thanks again though for all your assistance - I had a very interesting and enjoyable holiday and I cannot wait to come back to China again. I am very pleased with this tour. Everything has been very nice, well organized and planned. Thank you for your service! Many thanks. The trip at the Yangtze River was really great, we enjoyed it very much and you and your company people did a very good job. We send our good wishes for the holiday season to all of you. Best regards. 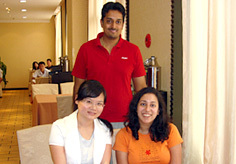 EVERYTHIGN INVOICED WITH TRAVELCHINAGUIDE HAS BEEN VERY FRIENDLY AND HELPFUL. ALL FOOD HAS BEEN EXCELLENT. GUIDE AND DRIVER WERE BOTH FANTASTIC. I WOULD STRONGLY RECOMEND TRAVELCHINAGUIDE.